Like you, I have areas in my life that I want and need to change. 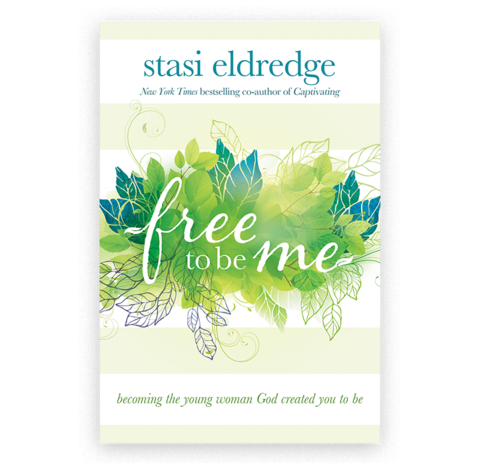 But I’ve learned the freeing truth that God is not going to love me any more or any differently when I do. Not when I finally lose the extra weight I need to and keep it off, not when I exercise regularly, not even when I am kinder, nicer, and more organized. Jesus’s love for me, my Father’s love for me, never changes. Yeah, okay, fellowship may be strained at times, but his heart toward me does not change. He is passionately in love with me. Even better, I think he likes me. And by the way, he’s got a pretty huge thing for you, too. Yes, you. Right now. The voice of shame says, I basically hate me; I need to get rid of me. The voice of discipline says, I’ve got to fix me because me is not good. God says, I love you; let me restore you. I like that one best.